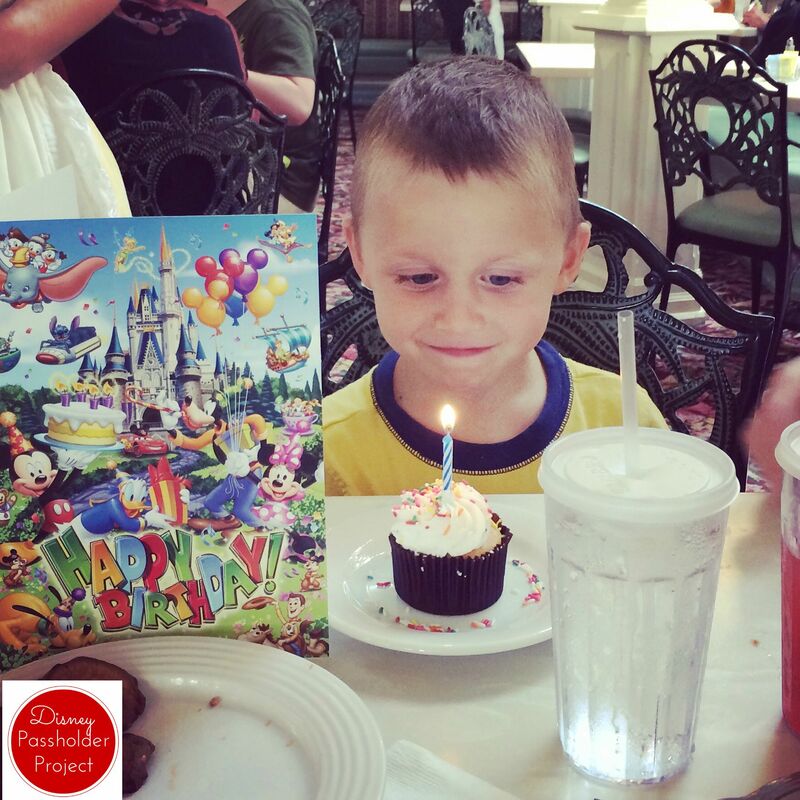 Q: What is more magical than celebrating your birthday at Disney? 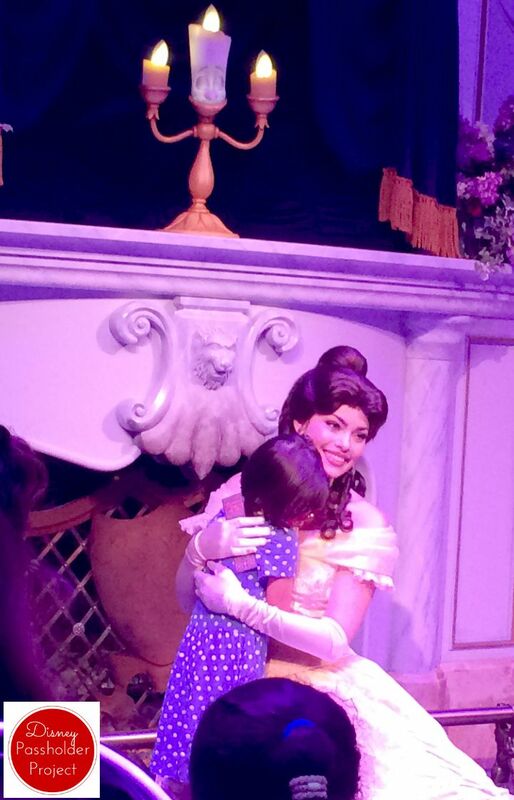 A: Watching a small child celebrate their birthday at Disney! This is exactly what happened this past weekend. On Saturday we made plans for family to watch Kids #1 and #2 for the day (THANK YOU!!) 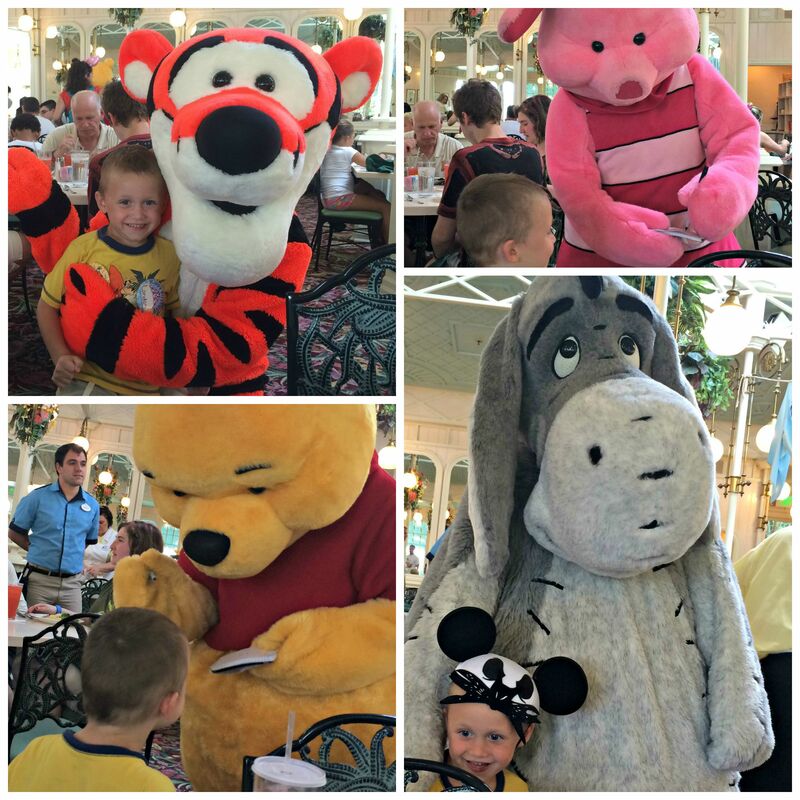 so that my husband and I could take Kid #3 to the Magic Kingdom for the first time to celebrate his birthday. This is the BEST tradition ever! Apparently no one in our house could handle the excitement and we all woke up about 45 minutes – 1 hour earlier than we needed…for those playing along that means I was up before 5am. Insert coffee here. So we all load into the car with backpacks of essentials (snacks and sunblock for us and devices and swim gear for the big kids) and away we go. After ditching the big kids we arrived at the Ticket Center so early that we were parked close enough that we don’t get a tram…score! 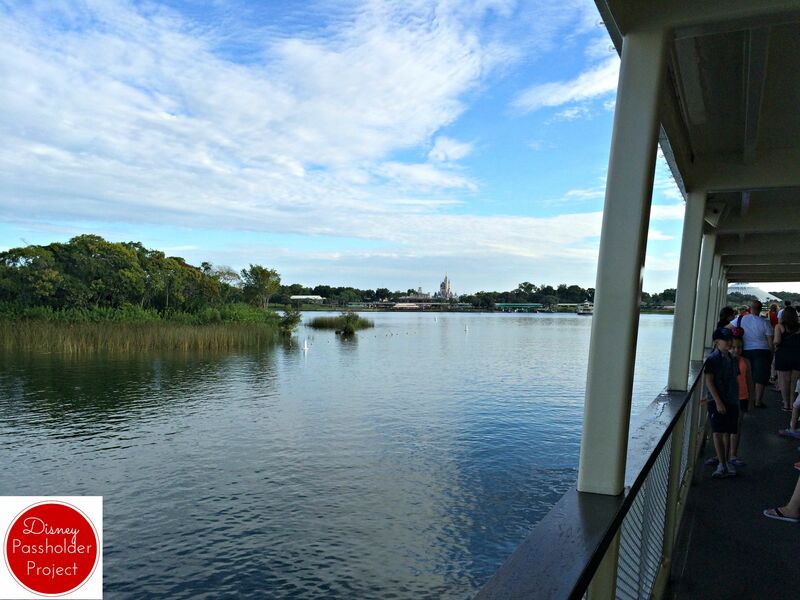 Now on to the boat and over to the Happiest Place on Earth. There is nothing better than that view! I love watching Cinderella’s Castle get bigger and bigger. As you may have guessed by our crazy wake up time and insanely good parking spot we got to the park in time for rope drop. This was our first time doing this, and from now on will be standard. The show is cute and all, but we were most excited about getting right in. The opening show wasn’t too busy and we went straight to Tomorrowland. Hubs was able to walk onto Space Mountain and Kid #3 and I rode Buzz Lightyear three times back to back. It was awesome and it let me change out the FP+ I had for this ride. As awesome as this was, I wish we would have gone straight to the Seven Dwarves Mine Train because the wait was ALWAYS 80min+. Now I know for next time! On our way out of Tommorrowland we road the Tommorrowland Speedway. This was a first for us because on our other trips the kids were not quite tall enough to ride and/or weren’t interested, but we couldn’t walk by a 10 minute wait. Not terribly impressed, but I’m sure that the big kids will want to do it soon. Next we hit Dumbo and The Barnstormer (another ride that we had a FP+ for for in the afternoon). We probably waited less than 15 minutes for both rides. These are the type of wait times we had all day. I’ve never really understood the big hoopla over Dumbo, but we always ride it. I think this is because it is a classic. 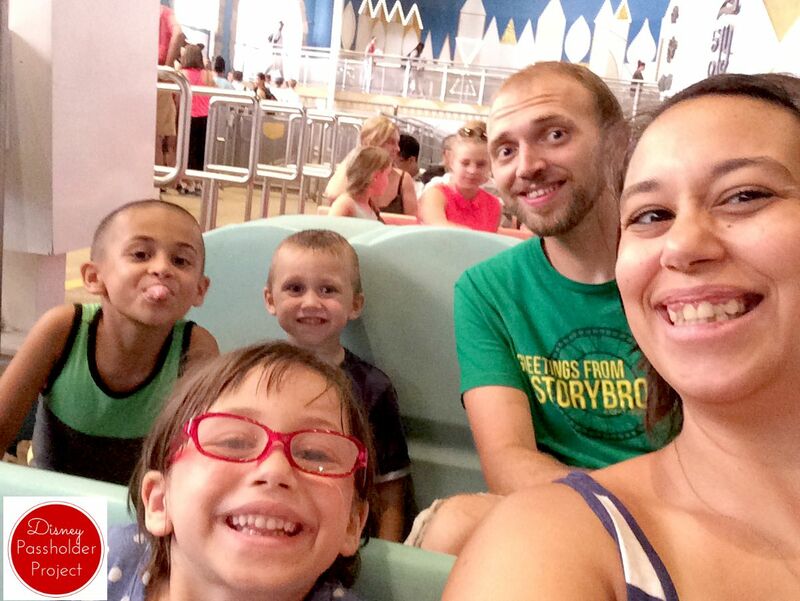 This was our first time on The Barnstormer and we loved it! This was also Kid #3’s first rollercoaster. 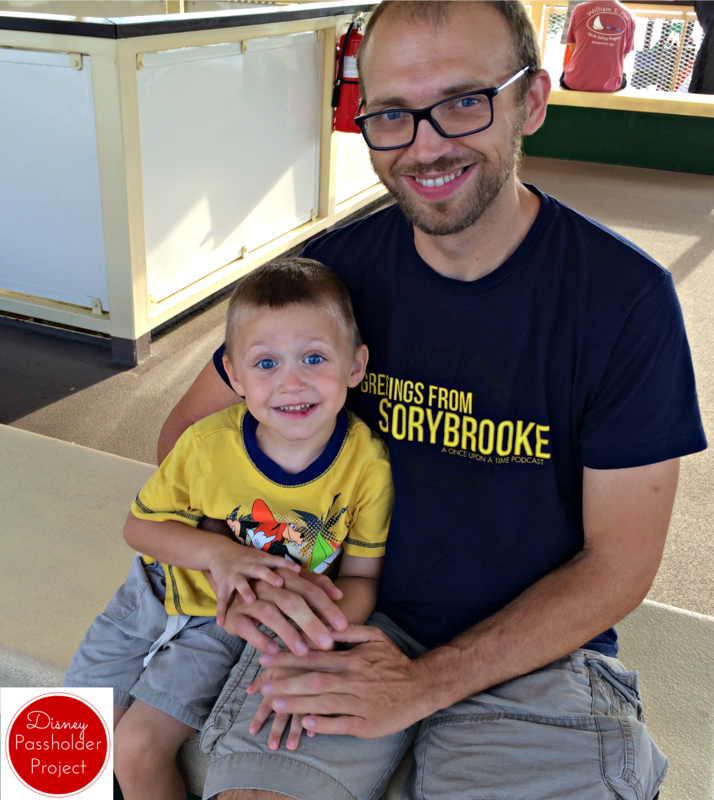 It was perfect for easing him into them (even though he was ALL ABOUT the Tower of Terror 2 days earlier). By this time our banana and granola bar breakfast in the car was wearing off, so we decided to hit one of our favorite spots, Gaston’s. 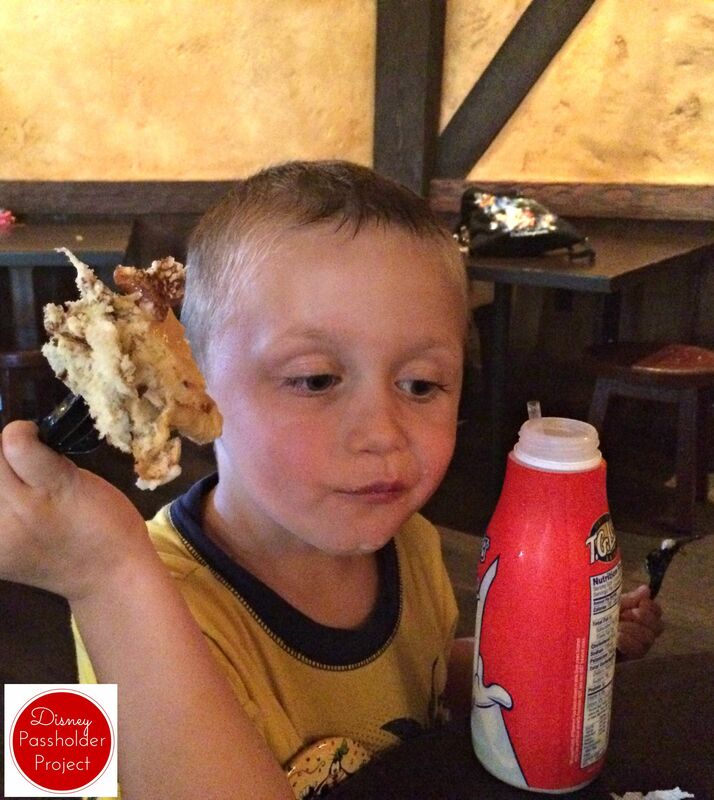 How can you turn down a cinnamon roll the size of your head and some milk? Once we were rejuvenated we made our way to Frontierland by way of It’s a Small World and the Haunted Mansion (FP+). 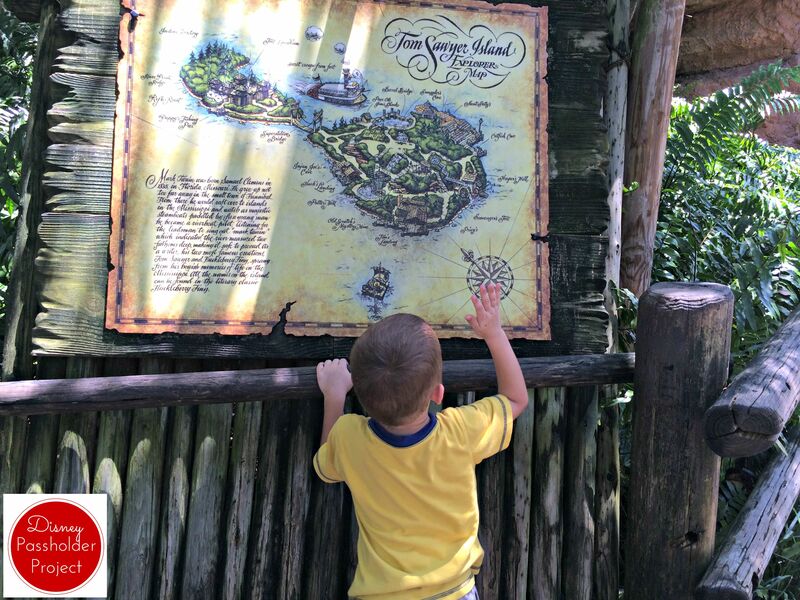 Once there, we wandered around Tom Sawyer Island and waited in a LONG line to meet Woody and Jessie. Seriously, I think that this was the longest line that we waited in all day. Kid #3 was speechless while meeting them. It was ADORABLE! They kept asking how old he was (thanks to his birthday button) and he just couldn’t spit it out. 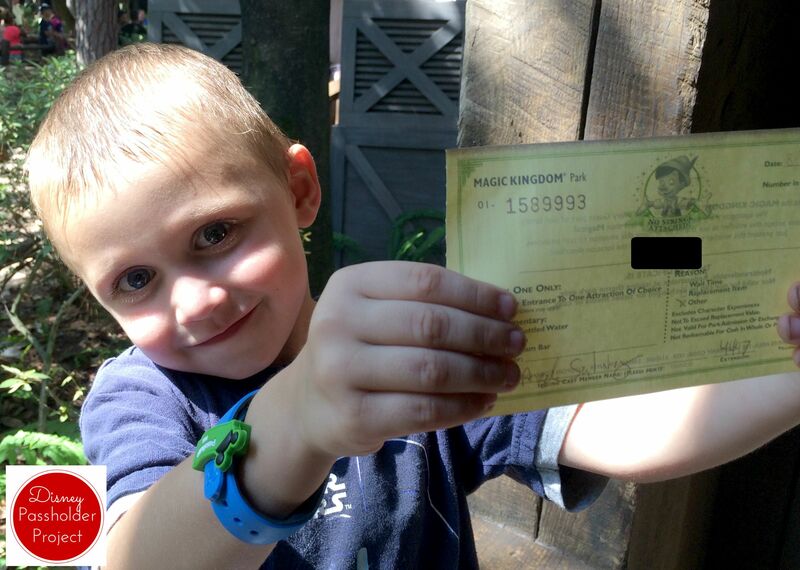 Just tons and tons of smiles…and an obsession with getting his autograph book signed. Finally it was time for our super awesome lunch. 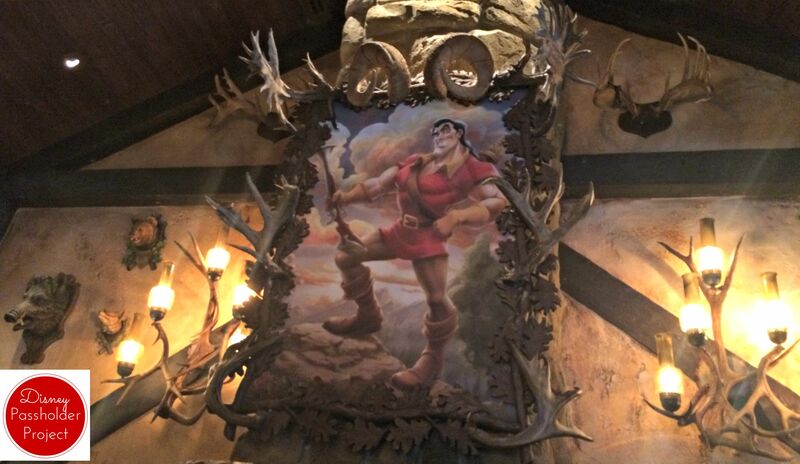 We are big fans of hitting the Crystal Palace for lunch because A) buffet and B) character experience. Sure, it is expensive ($35 for adults and $20 for kids) but there is plenty of variety for food and you get to meet four characters. Bonus: we learned when we took Kid #2 for her birthday trip that if you ask they do a little something for birthdays (cupcake and a card) you just have to ask. After lunch it was steamy hot so we decided to give Splash Mountain a try. This was another ride that we had never done because of height restraints (and the fact that our other trips had been in winter). Such an awesome ride!! I had no idea what to expect and I was pleasantly surprised. Not only was the big drop awesome, but the story and animatronics throughout were absolutely on point. Later the skies started to get a little scary so we decided to duck into Casey’s Corner for a quick dinner. This is another one of our favorite Quick Service restaurants because hot dogs and fries…duh! Oh course, just as we finished up a huge mob of people started coming in…the sky had finally decided to open up. We had arranged a 4th FP+* for Buzz Lightyear so we needed to trek through the rain. We weren’t 100% prepared for that (aka I only brought Kid #3’s raincoat) so we bought ourself some $10 Disney ponchos and headed out. Now you may recall Kid #3 and I had already ridden the Buzz ride THREE TIMES in the morning, but he wanted to ride with Daddy. By the time we got in line the rain had stopped. 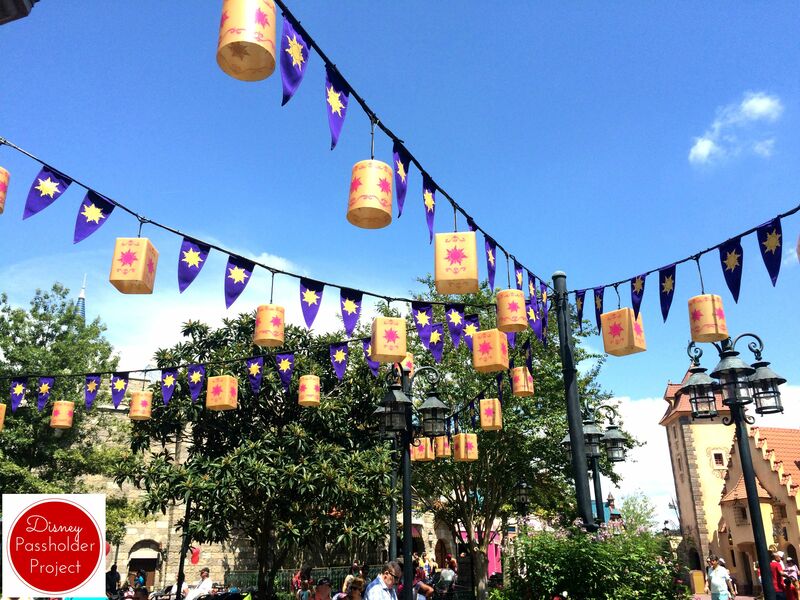 * FP+: Okay, so we all know that you can schedule 3 FP+’s before your trip, BUT I had just learned through WDW Prepschool that after you complete your third pass you can go to the FP+ kiosks (castmembers with iPads) and schedule a fourth and after you use that one you can go back again and schedule a FIFTH! How awesome is that!??! I also read somewhere that pretty soon this functionality will be coming to the My Disney Experience app, but for now you have to go to the kiosks. By this point the little man was getting tired and wanted to skip the parade and fireworks, but we couldn’t resist walking by to see if the wait for the Mine Train had gone down (obsessed much?) and we were thrilled to see that it was only 30 minutes! 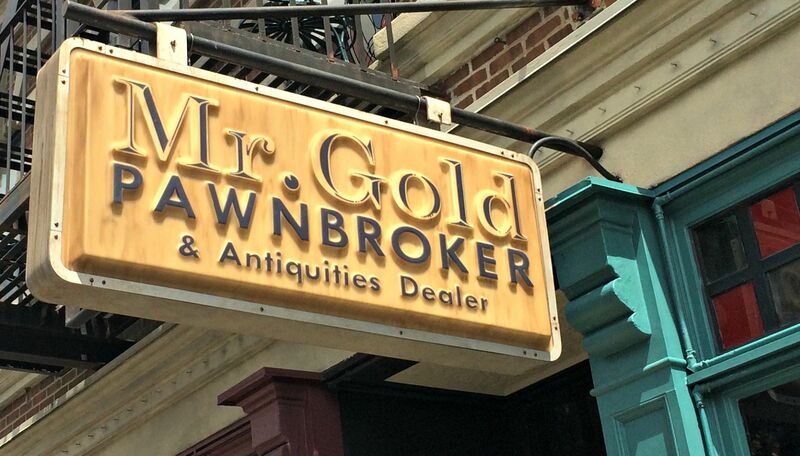 I may have shrieked at the Castmember…oops. We didn’t even think twice before hopping in line. The wait experience for this ride is awesome! Disney is getting better and better at making the rides with crazy waits less painful with games and toys built in. I think you miss all of this with the FP+ and I almost feel bad for you because they are pretty cool. Kid #3 wanted to ride with Daddy which left me as a solo rider (common theme for the day). There was a mom and 2 younger boys paired with us. When the Castmember had to split the boys so that the younger could ride with mom I got to ride with her son. He seemed a little nervous, so I told him that he was totally allowed to scream and I wouldn’t tell anyone. At the end we high-fived and talked about how awesome the ride was. His mom thanked me, but really I just did what I would want someone to do for my kids. 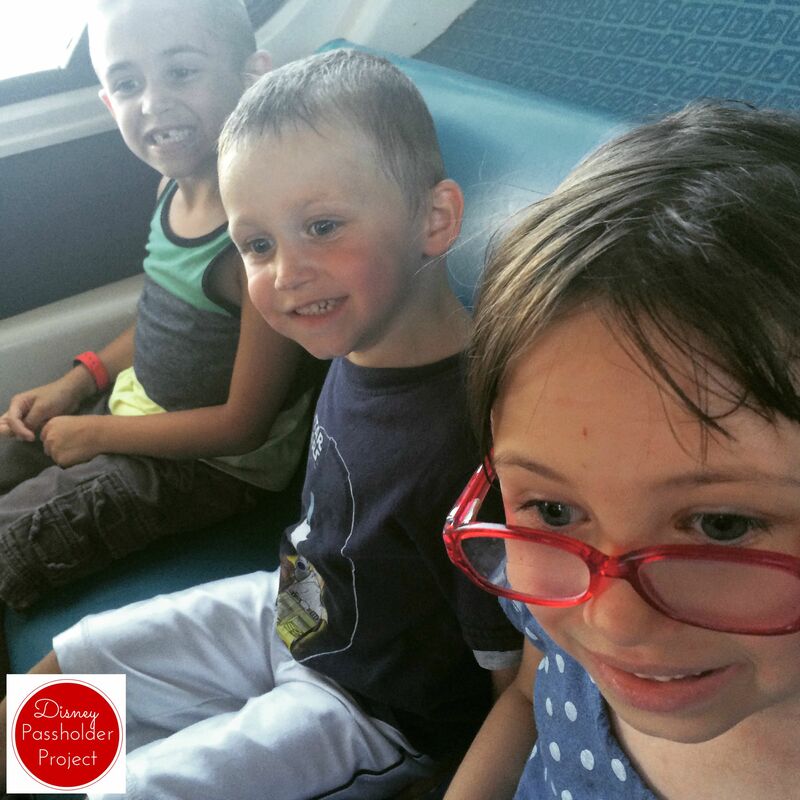 There is a rule in our house that each child’s first trip to Disney (Magic Kingdom) has to be alone with Mommy and Daddy. This way we can focus on just them and taking in the magic. Kid’s #1 and #2 each went right around their third birthday. However, around Kid #3’s third birthday we weren’t able to make the trip due to work commitments. We just passed his fourth birthday in July and we knew it would be our first trip once we were down here. Well, when we got our Annual Passes we couldn’t get a babysitter for the older kids for a few days, so we decided to hit Hollywood Studios since it would be brand new to all five of us. Bring on the Pixie Dust! My husband had some comp hours saved up so he took a half day and we made the trip down to the park right around lunchtime. We packed sandwiches and snacks for the kids to eat in the car because as Annual Passholders we don’t want to break the bank on food. After a quick pit stop at the ticket counters to trade in our annual pass voucher for our ticket cards we were off! 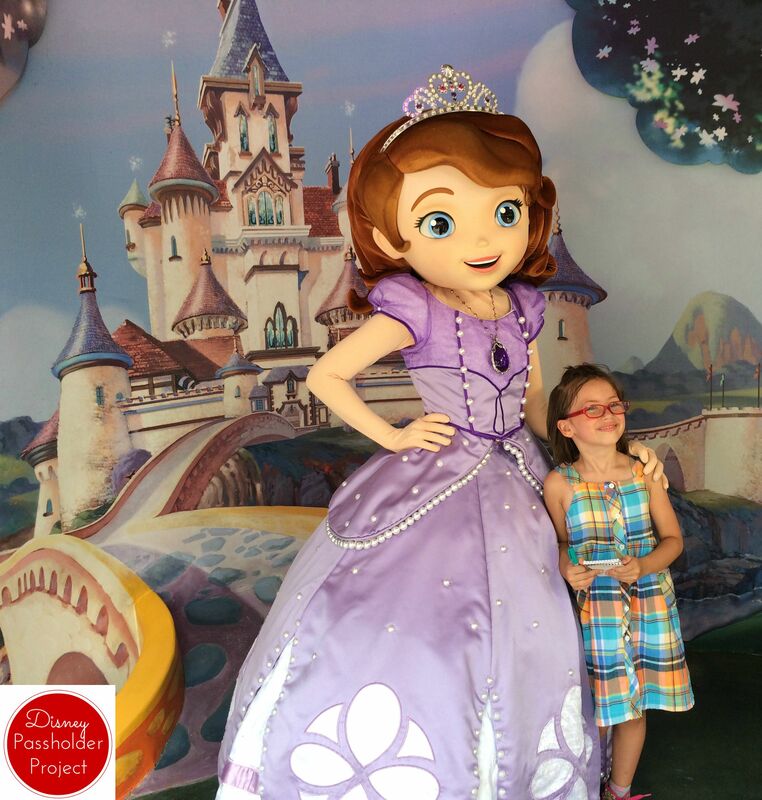 And we walked right in to a ton of Frozen Summer Fun! 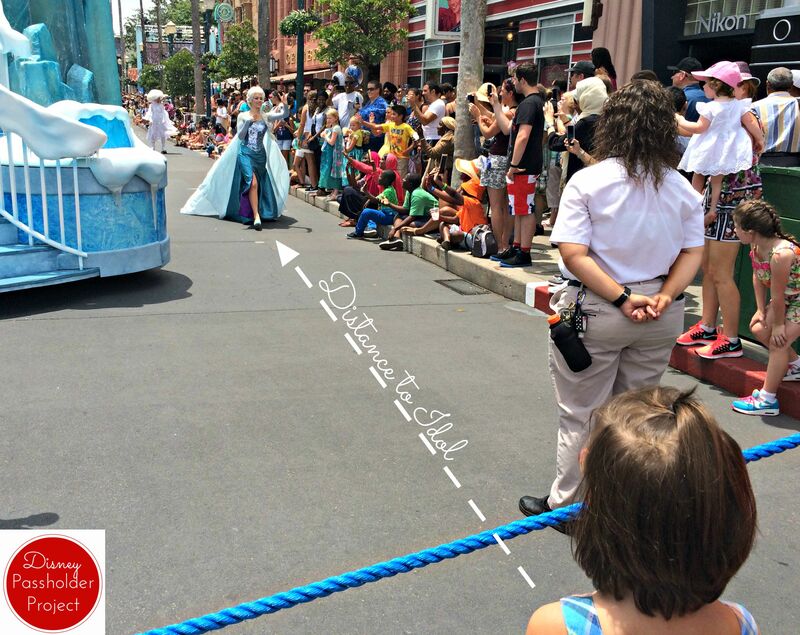 We were perfectly placed for the tail end of the Frozen parade..and (of course) that is where Elsa is! Kid #2 was exploding with excitement. I can’t comment on the parade as a whole, but the “Let it Go” at the tail end and when it STARTED SNOWING was lovely! We were also able to follow the parade for a little while before veering off to check out the Disney Jr. section of the park. I’m sure anyone without small children will just zoom past this area, but we were very excited. I mean, we *may* have been watching the Disney Jr. Live on Stage show on Youtube for years and have watched it change and use different characters. Before the show started we took a few minutes to meet a couple of friends. These lines were relatively short and we only missed meeting Doc McStuffins because we had to get in line for the show. She also had the longest wait of the three. 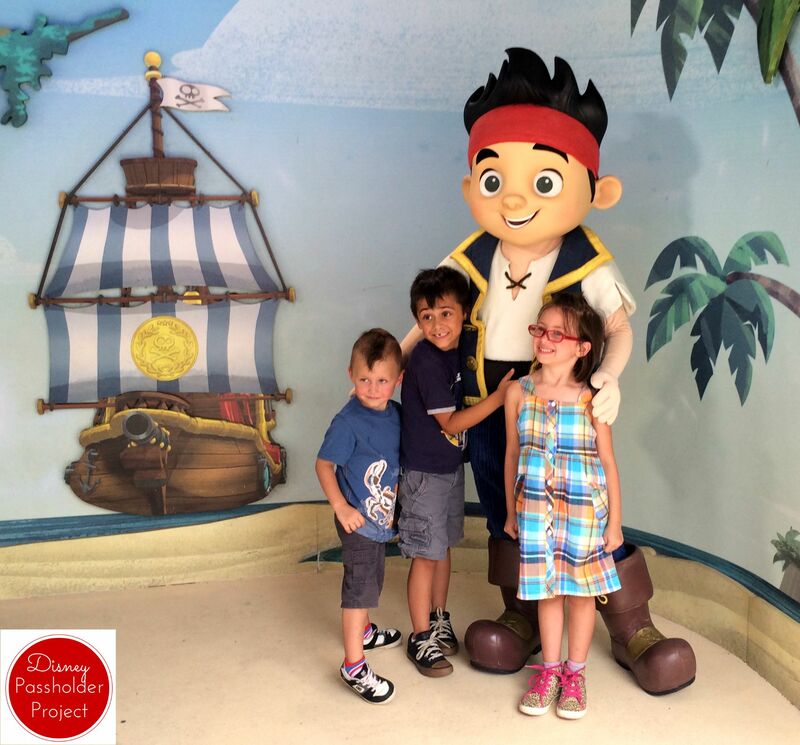 I cannot believe how excited Kid #1 looks to be meeting Jake. I’m always worried that he is growing up too quickly and this gives me hope that he is still a little boy. If you have little kids the Live on Stage show is awesome with tons of interactions. I mean, who doesn’t love bubbles and gold dubloons being thrown into the audience? We then spent our day virtually walking on to ride after ride (including Star Tours) and into shows (Muppets!!! )…until Toy Story Midway Mania. OY! We had walked by this ride many times through the day and were constantly checking the My Disney Experience app to try and find the smallest wait times. It was almost always around 2 hours. WHAT?! I hate to waste so much time in line. There is so much to see! Finally, after an early dinner at the ABC Commissary we decided to brave the 85 minute wait line. Thankfully the line was really only about 60 minutes and not too painful. As with most newer rides at Disney the line is so in brand and entertaining. It was like you were dumped into the bottom of Andy’s toy chest with giant toy pieces and cards everywhere. There was even an animatronic Potato Head gabbing with everyone (and holding up the line) as people took pictures. THIS RIDE WAS AWESOME, but basically just an updated version of the Buzz Lightyear ride at Magic Kingdom. It was fun, but not worth the wait as an adult. My kids, however, thought it was the greatest thing since sliced bread. We finished up our day with the 9pm showing of Fantasmic and then Frozen fireworks. I had heard how awesome Fantasmic was, but I knew nothing about the actual show. This might have been the highlight of the trip! I absolutely LOVE the water projections. This makes me excited for the new show that they are putting in at Animal Kingdom. 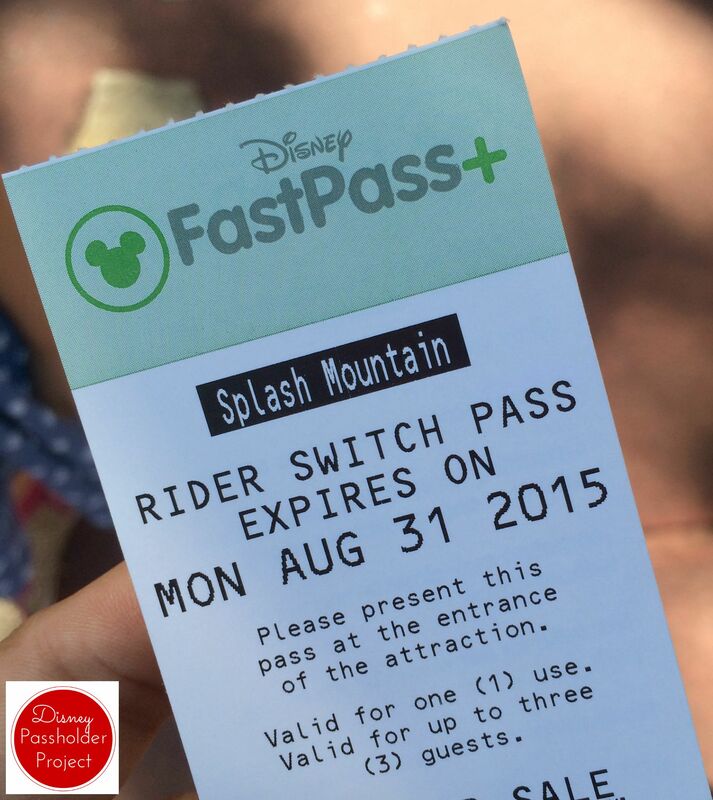 This is a FastPass+ option, but the way that the theatre is set up I don’t think you need it. GIANT bug from Honey, I Shrunk the Kids! Once Fantasmic let out we headed towards Hollywood Boulevard and the entrance of the park. This set us up perfectly for the fireworks with a quick escape to the trams. 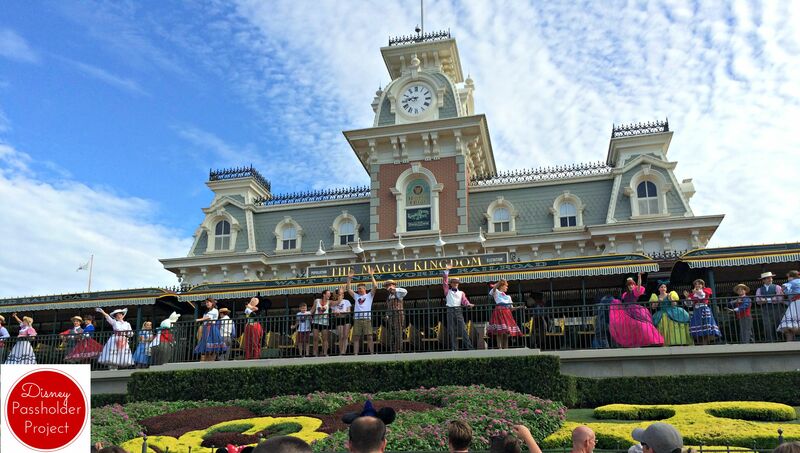 Overall it was an amazing trip and got us super excited for Kid #3’s birthday trip to Magic Kingdom two days later. 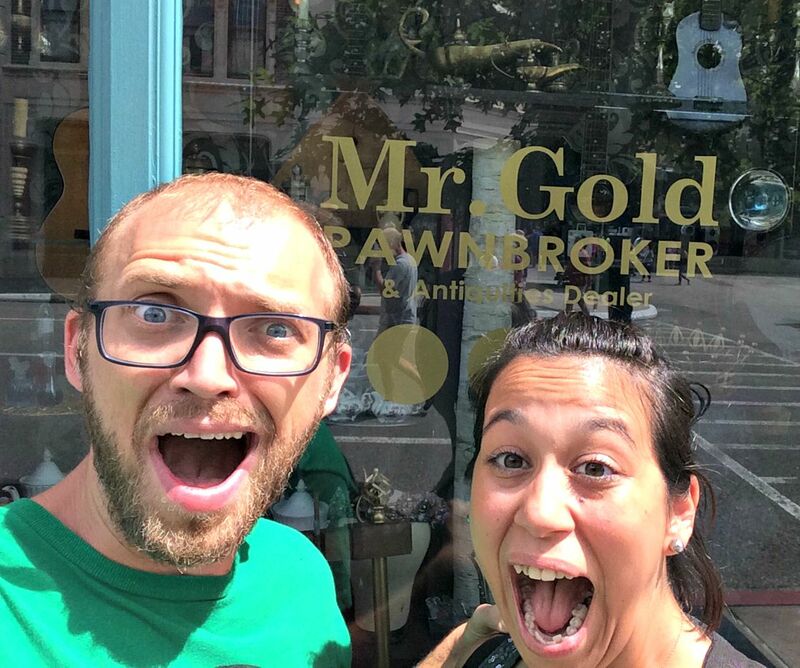 My husband and I host a fan podcast, Greetings from Storybrooke, about the show Once Upon a Time and we had a little too much fun geeking out over the Mr. Gold’s Shop storefront. 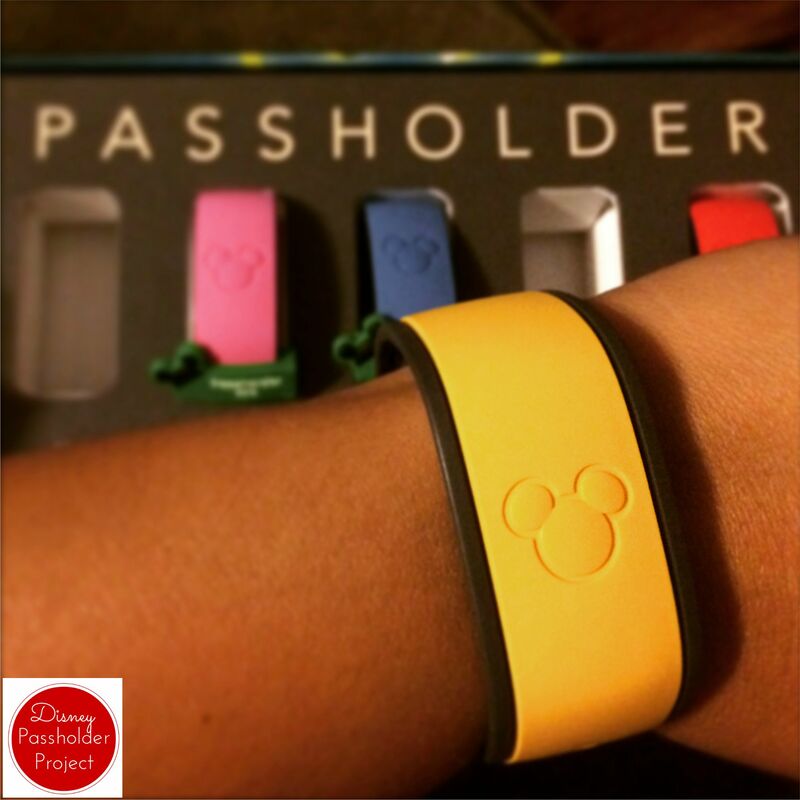 Thanks for joining me for our first trip to Walt Disney World as Annual Passholders! 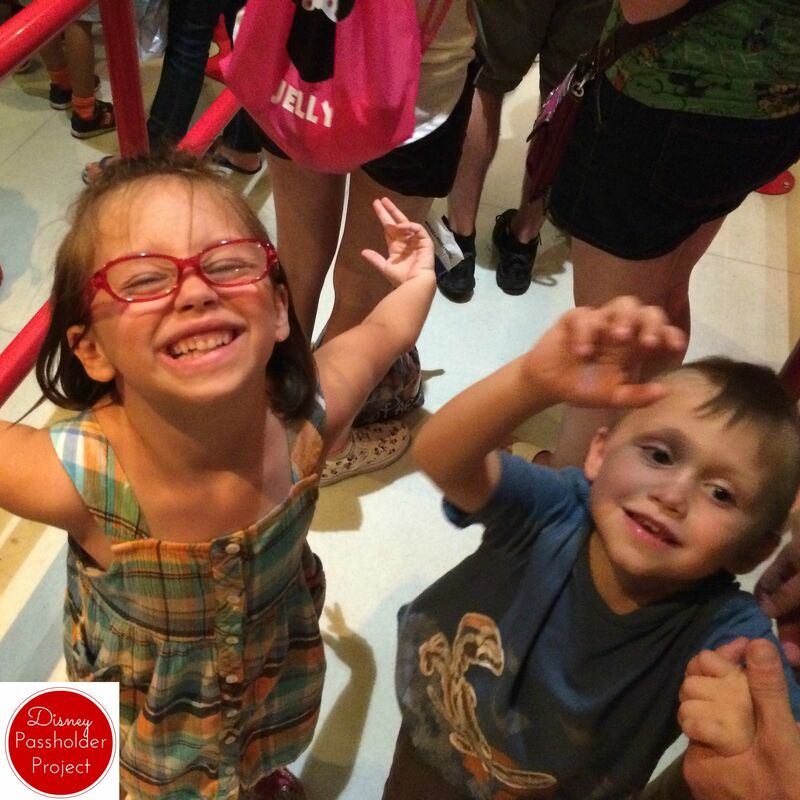 Stay tuned for our next trip…Magic Kingdom! When my husband and I announced to our friends and family a few months ago that we were moving to Orlando everyone wanted to know when we were getting our Disney Annual Passes. We kept saying “By Christmas.” We really saw ourselves putting it off for a while to save up money and get settled into a routine…or something like that. Well, apparently “By Christmas meant within 2 months 🙂 This week we pulled the trigger (thanks to the AWESOME payment program!) and we aren’t looking back. Now that we have the passes we plan to make the most of them. 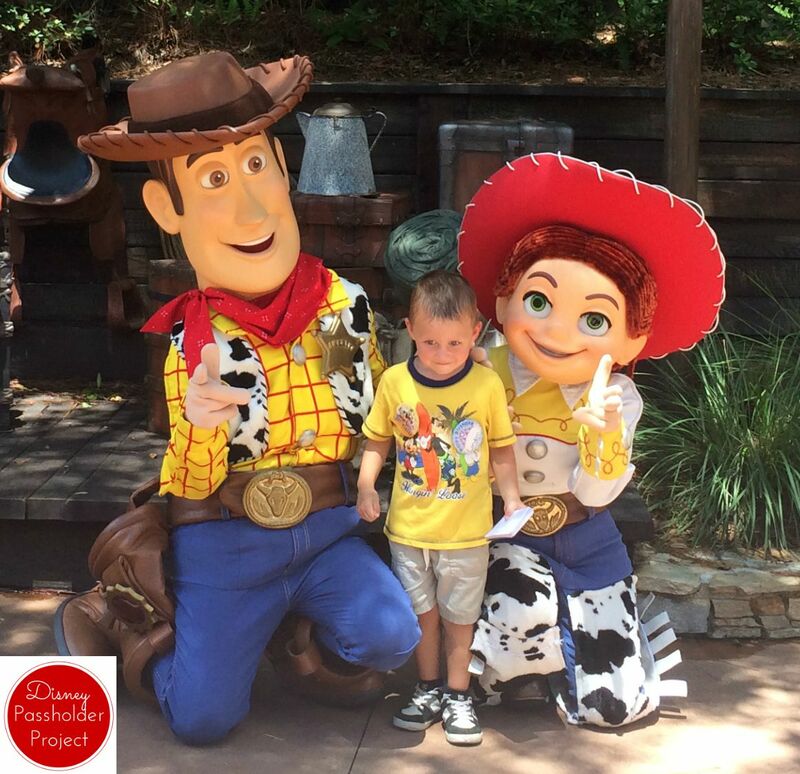 I will do my best to post about each of our visits to Disney property with any fun encounters or tips that we have with occasional guest posts from my husband and kids! 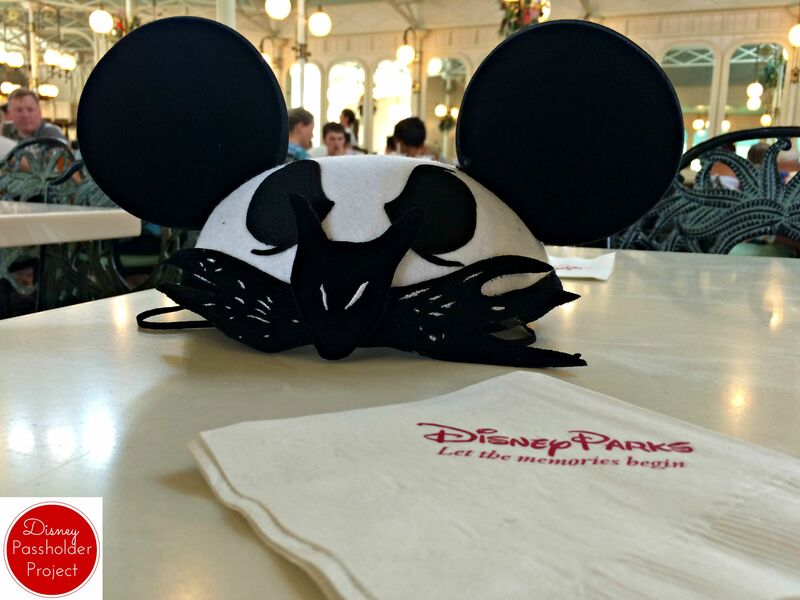 This site is independent from Disney and completely our thoughts, opinions, and experiences. If anything is every sponsored or subsidized we will let you know up front. That’s about it for now. Feel free to share any tips, challenges, or questions that you have for us!